Fundraisers held by university and college students are good for building recognition for an individual cause, showcasing different venues, making connections with people, strengthening the community, building trust, and increasing revenue through various fundraising ideas. College and University student non-profit organizations encourage people to become involved in something bigger than themselves. It brings people together that share in the same beliefs and morals as their own and encourages them to make and develop relationships with others in their community while providing a sense of accomplishment and empowerment to themselves and their cause. Fundraisers help to gather voluntary contributions of money or other goods and services from people in the community, businesses, foundations, or other agencies. Launching a successful fundraising event involves a lot of time and effort and requires visibility and donors so that it can grow and flourish. The entire organization needs to agree on the goal and have support from everyone within their organization first and foremost. Fundraising is difficult to do alone and to reach the level of success you are aiming for. Therefore, you need people that share your vision and values and want to help you succeed in your efforts. The organization must remain consistent in their efforts and do their best to retain donors while branching out to find potential donors and additional support. For a casino night event to be successful, the student organization should set their goal, find the revenue sources, additional budget expenses, determine pricing, find volunteers, and advertise the event. Find local artists and vendors in the community to donate some of their pieces to put up for display and auction at this fun and creative fundraising event. It not only raises funds but also gains some exposure for the artist. There are many ways you can host a date night fundraiser. First of all, you will want to find your venue and estimate the number of people that might be attending the event. For this fundraiser, you are auctioning off dates with the college students, or you can auction free babysitting so that parents can go out on a date night. A date night fundraiser is a fun and engaging way that money can be raised while providing a service, such as babysitting that most parents will want to win. Start the bidding off at a set amount, remind the auctioneers what you are raising the money for, and happy bidding. A crockpot cook-off is an excellent way to show the community how a college student lives the first few years of college life. With the busy lives of people these days, the crockpot is the go to for most dinners several nights a week. So, why not show off those crockpot skills while raising some much-needed money for your cause? People can sign up to participate and then be charged a small entry fee. Set up the contest with different categories such as chili, stew, chowder, and soup; this is a good way to get more people to enter the competition and you are offering a few different categories that may appeal to more people. The general public will be charged admission to the event, and they will end up being the judges. With their entrance fee, they will be able to sample all the dishes and then make a ruling on which they feel is the best. Offer a prize for each category winner and set up a baked goods area to sell more products and offer more variety. Frisbee Golf is a sport of precision and accuracy and combines the love of Frisbee with golf. It is a fun and energetic fundraising event idea that appeals to adults and children alike. To get started, contact local golf courses or country clubs and see how many people are interested in joining a team. A mini tournament can be set up, and people pay to play. There are many other things you can do in addition to the tournament in order to raise money such as a bake sale, and auction off golf clothing and equipment. The sky is the limit with a Frisbee golf tournament. Each team can have their theme, and you can even award a prize for the best team costume at the end the tournament. A Funny Fashion 5k Run is a great idea for sororities and fraternities to come together and raise money. To begin organizing for a 5K run, you must consider the location and the type of course you would like to have. After these details are figured out, you can come up with a theme. For a Funny Fashion Run, the teams can dress in bright colors and costumes and make it fun to compete, as well as fun for spectators to watch. Create an online race registration form to increase participation and make it easy to sign up. Runners can get sponsors that pay for how many miles the participant can go which adds to the fundraising efforts. A small fee should also be charged for each participant to enter which is included with the registration form. Make the course and theme unique and be sure it is in a centralized location, so there is more participation. Avoiding hills is a good way to go as well and have your course flat or even downhill. 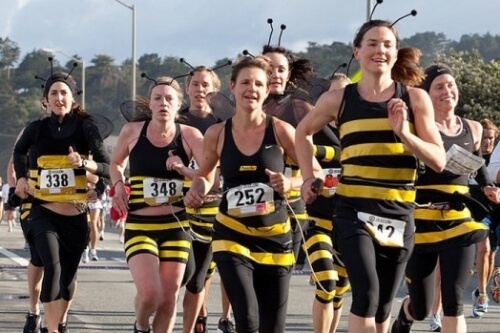 When a good theme such as funny fashion is chosen, it makes it a unique experience and involves more than just an athletic run for funds. As with any fundraising event, you will want to promote it, name it, and tell your story. Why are you holding the fundraiser and where will all the donations be going? Be sure you get any race permits you will need beforehand. YouTube and social media sites have been growing in popularity. With television all but forgotten, viral videos are a craze and can be used to an organization’s advantage when it comes to fundraising. When considering viral video challenges, think back to the Ice Bucket Challenge. To begin, choose a small task to do in the video that targets your particular cause and make it fun, unique, and lighthearted to attract more attention. The videos should be highly visible and entertaining and touch on the viewer’s emotions to illicit a response. Facebook donation pages are an excellent way to promote and spread this fundraising idea, and they include a donate button, so it makes it easy for people to donate funds, share their stories, and spread awareness for your cause. 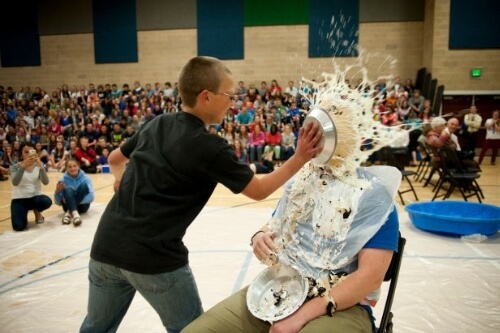 Dollars for Dares is a great fundraising idea for college students and can be a fun way to raise money. It is considered a peer to peer fundraising option. Set up a social media page or crowdfunding page to promote and advertise this fundraising event and collect a dollar for each dare that is done and upload the video of the participant completing the dare. Set a dollar amount each dare will cost. If the individual decides to back out of the dare, then they must pay the same fee in response. Keep the dares safe and within legal parameters. A sports tournament is a simple and straightforward fundraising idea that doesn’t require an immense amount of planning. A park would be a great location for this type of fundraiser due to the baseball diamond, soccer field, volleyball net, basketball court, etc. Set up an online registration form so people can sign their teams up and charge a team fee to participate. 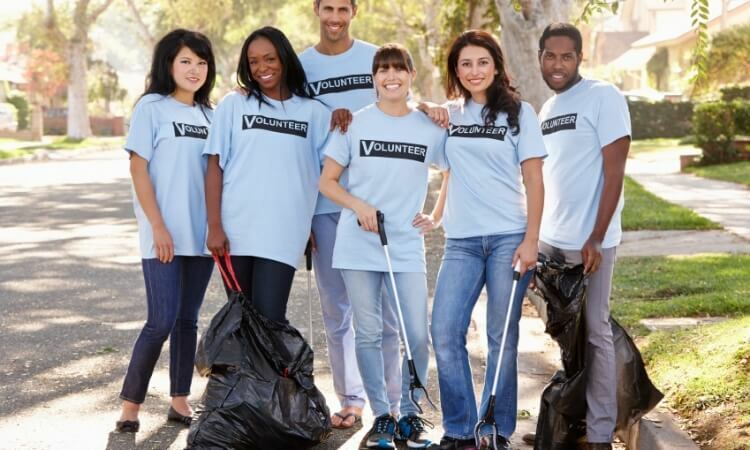 Promote your event and gather volunteers to help referee and keep score. You can also set up a bake sale or even hot dog eating contest on the side to gain even more in donations. Almost like the 5K run, a wacky obstacle course is a good idea for college students and will still appeal to the masses. You can take people back to the times of skipping, hula hooping, and jump roping. Each team pays their fee for participation and have different areas set up throughout the course with a different task that will have to be accomplished before the participant can move forward. You will want to find a location that provides enough room for participants and spectators and be sure to get any permits you will need before the event. The team that completes the wacky obstacle course the fastest can be awarded a trophy or certificate and any other prize you choose. Perhaps find sponsors to represent each player or even talk to local businesses about donating gift certificates for their establishments for the winners. Fundraising is a good way for people to come together in a community and work toward a common goal. All of these fundraising ideas can be customized and changed any way you wish to reflect the target of the fundraising efforts. Just be sure that you promote and market the event, so attendance is good and keeps the themes unique and fun while engaging people in a positive manner. Fundraising is nowadays harder and harder for groups whatever they are (sports teams, music groups etc…) because of the economic situation in many countries and also because of the large choice of activities BUT at the same time, it’s much easier now because of the large choice of supports, communication tools and networks that exist.